There’s a growing number of states that are trying to make themselves completely irrelevant in selecting the President of the United States. The states are doing this of their own free will by passing laws to give their electoral votes to the candidate that receives the largest number of votes across the country. A quick reminder before the rest of the discussion on how the United States chooses its president: Each state is entitled to cast votes in the Electoral College equal to the number of Senators and Representatives the state has. Montana has two Senators and one Representative, thus gets three electoral votes. 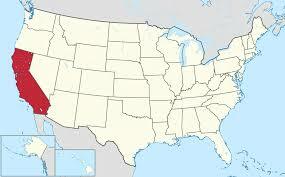 California has two Senators and 53 Representatives, thus gets 55 electoral votes. So, with 435 Representatives in the House and 100 members of the Senate, there are 535 possible electoral votes, plus, the 23rd Amendment to the Constitution awards the District of Colombia the same votes as the least populous state, so DC has three votes. This makes a total of 538. To win the presidency a candidate needs an absolute majority, or 270 votes. Over time, the state legislatures have enacted laws that give all the state’s electoral votes to the presidential candidate that receives the most votes from the people of the state. This system developed to maximize a state’s voice in the Electoral College, and make the state worthy of attention from presidential candidates, and ultimately the president. The result of this system is that five times (1824, 1876, 1888, 2000, and 2016) the candidate receiving the most popular votes across the country has not won the presidency. 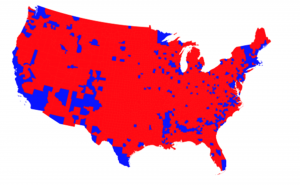 This difference between popular vote outcomes and presidential winners has given rise to the argument that the Electoral College should be abandoned for the candidate who wins the most votes in the country. In the alternative, In recent years a proposal gaining support is the National Popular Vote Interstate Compact. Under the proposed compact, if states having 270 or more electoral votes join, those states would cast their votes for the candidate who receives the most votes nationally. Most of the energy behind the reform proposals recently has been generated by the outcome of the 2016 election, that saw Hillary Clinton garner the most popular votes nationally, and Donald Trump being elected President with 306 votes in the Electoral College. Proponents of electing the president by the national popular vote point out a single number from those statistics. Clinton’s national edge of 2,864,903. There are many other ways to slice and dice the votes, and arguments that campaigns would be different if the rules were different. There is one other statistic that is seldom discussed, the vote in California. Here’s the California results: Clinton: 8,753,788, Trump: 4,483,810. Clinton’s California margin was 4, 269,978. So, without California, Donald Trump won the popular vote in the rest of the country by 1.4 million votes. Does the Whole Country Want California Choosing the President? The president of the United States is to represent the interests of the entire country. Over our history, states have settled on the winner take all system to enhance their influence in selecting the president. Politicians in states other than California supporting proposals to abolish the Electoral College are actually moving to disenfranchise their citizens in presidential elections. Either the abolishment of the Electoral College or adoption of the National Popular Vote Interstate Compact would essentially result in electing the president from California, when the rest of the country gave the majority of their popular vote to another candidate. That seems to be the single and simplest argument for leaving the Electoral College as it is. Two states currently do not use winner take all: Maine and Nebraska. In both states, two electors are given to the winner of the state and the other electors are awarded based upon the votes in congressional districts.